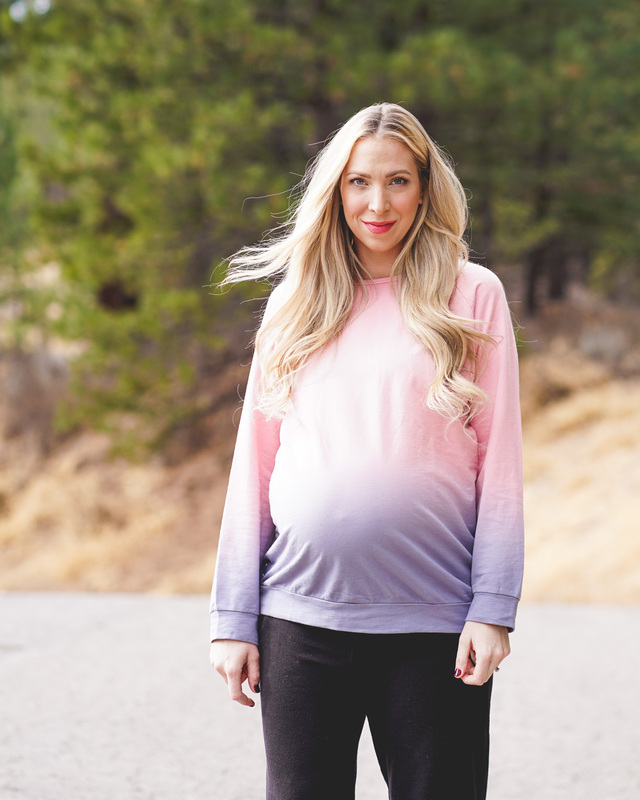 I became so obsessed with PinkBlush during my pregnancy because they have the cutest maternity clothes and their dresses are soooooo comfy and pretty! 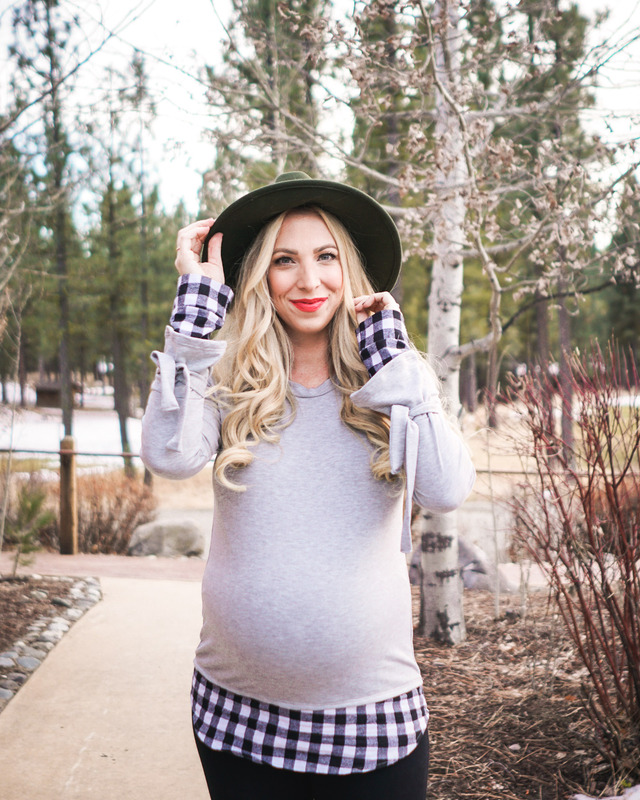 They also carry non-maternity pieces and I’m so excited to start shopping for some new pieces for this post baby bod! I loved all three of these pieces equally but this checkered faux layered sweater made me feel amazing! It felt nice to wear something that wasn’t black, baggy, or belonged to my husband. I paired it with leggings because lets face it, who could fit into jeans this far along? He was 9lbs 10 oz so my belly got pretty large. This top also comes in red plaid with blue or charcoal main body color and is available in non-maternity as well. This pink ombre sweater sold me straight away! I love the fun colors and how it spices up gym and loungewear or pairs great with jeans. Runs true to size, and is insanely comfy for a growing bump. Ya’ll don’t even want to get me started on this velvet wrap dress! Its way too comfortable and gorgeous at the same time. I love the fact that its a wrap dress because it accommodates the belly more for all different sizes. I loved the dark grey/blue version of this dress but it is also available in a dreamy Champagne or Merlot in maternity and non-maternity options. I pretty much lived in this dress when I was feeling down about wearing sweatpants on repeat. 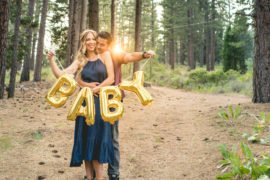 PinkBlush has so many fabulous items on their site and I definitely recommend checking out all their cute maternity wear! If you subscribe on their site you can get 10% off your order too. Happy shopping babes!! Being able to share my style, travels, and beauty likes with you all makes me happy. And being happy is important. Thank you for coming along on this ride!